Finally, the encouragement to write again. Interesting that a film that was considered to be the end of a saga became the kick start for me to write about films once more. 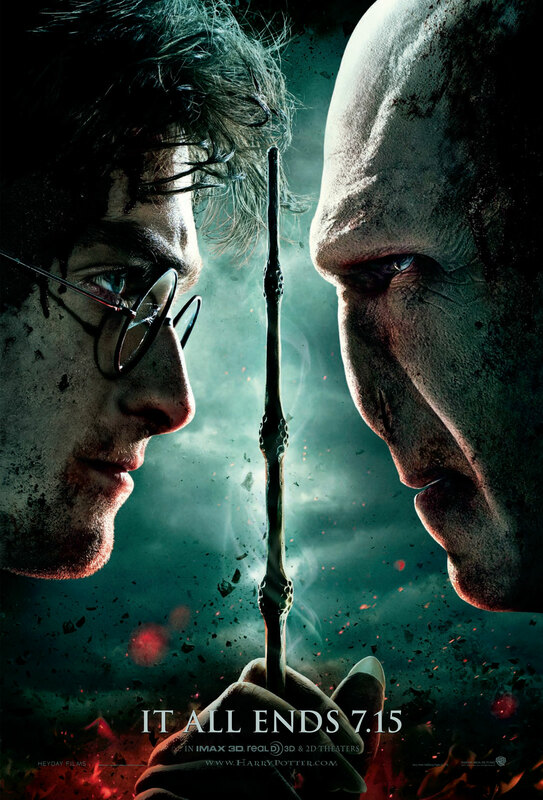 The mojo has been drained for a while, I have to admit, but as I watched the latest installment of the Harry Potter films, I realize that this is a film I cannot let pass without me noting down my impressions and sharing it with the world. Sharing. That is the one key thing that has come out from the film experience. ‘Harry Potter and The Deathly Hallows: Part 2’ finishes the adventures of Harry (Daniel Radcliffe), Hermione (Emma Watson) and Ron (Rupert Grint) at Hogwarts. Well, given that the school they called home for years would eventually be turned to rubble, they don’t really have much of a choice, at least for now. 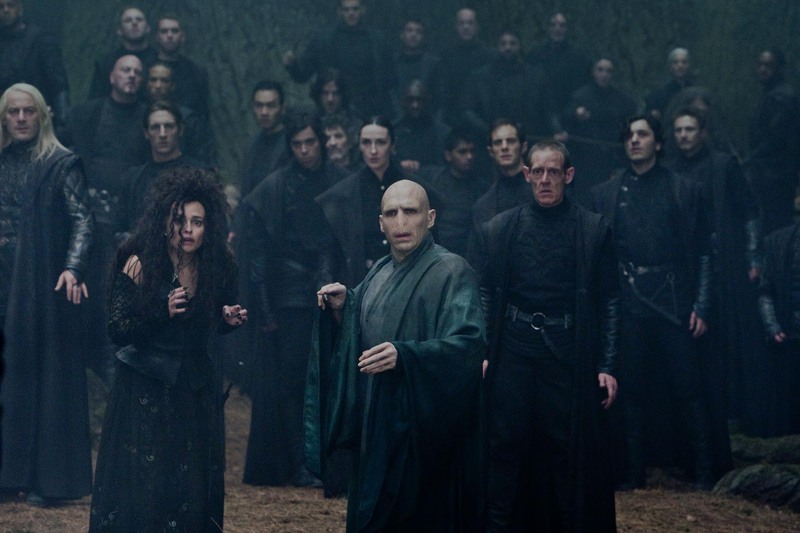 Voldemort (Ralph Fiennes), all powerful and ready to launch his final assault on Hogwarts, gathers his army and prepares them for battle as he himself prepares to kill the boy who lived. As their teachers, friends and family mustered their might to defend Hogwarts (Professor McGonagall [Maggie Smith] after performing a particularly impressive spell: “I’ve always wanted to try that spell!”), Harry, Hermione and Ron figured out that the Horcruxes must be destroyed for Voldemort to die. 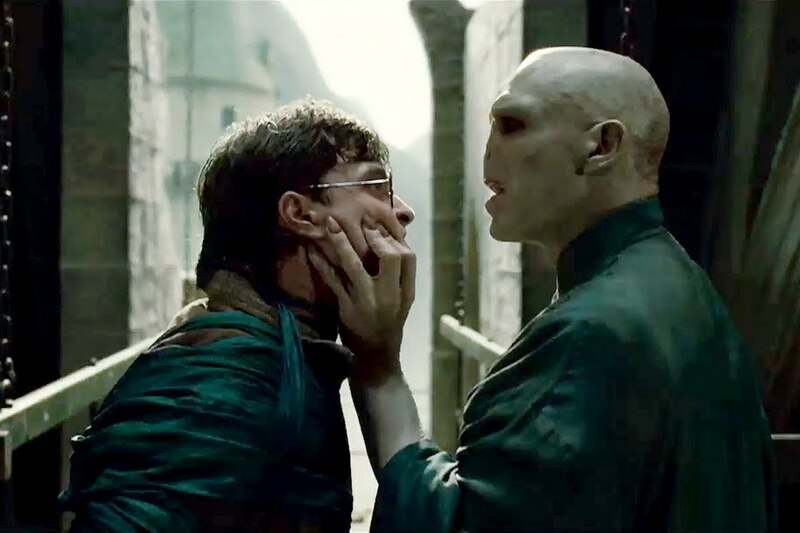 Of course, Voldemort is not exactly the dullest tool in the box, and it all leads to a fantastic climax not just for the film, but also for the series as a whole. Some series disappoint. For example, if it is true that the latest ‘Transformers’ film would remain the final part of the trilogy, then it would be a poor way to bow out for what have been a very good realization of a dream. Whatever we may say about Michael Bay, I am not and never has been against his choice as the director of the series thus far. However, the ending, the final shot of the film, did not inspire a sense of closure and satisfaction that the series deserved. Merlin's plan to hide Excalibur in Hogwarts didn't work out. ‘Harry Potter’, on the other hand, was none of the above. I find myself being emotionally tossed left, right and centre as the camera zoomed in and out, weaved to and fro in the final battles of the film. Note the ‘s’ at the end of the word battles, for we don’t have one, but a few. Far from this being a film of pure action, as some may have predicted given the relative drama of the first part (at the time, I wrote that it was “to get all the slow bits out of the way before the wham, bam, thank you m’am action of the final part”). There was the action, but it was not without meaning and emotions. It may be the end of the saga, but it is not the end of relationships or friendships. The fans of the series may already know, but many of the characters continue to live rather fulfilling lives. There is certain progression in the story of Ron and Hermione, and the same goes for Harry as well. 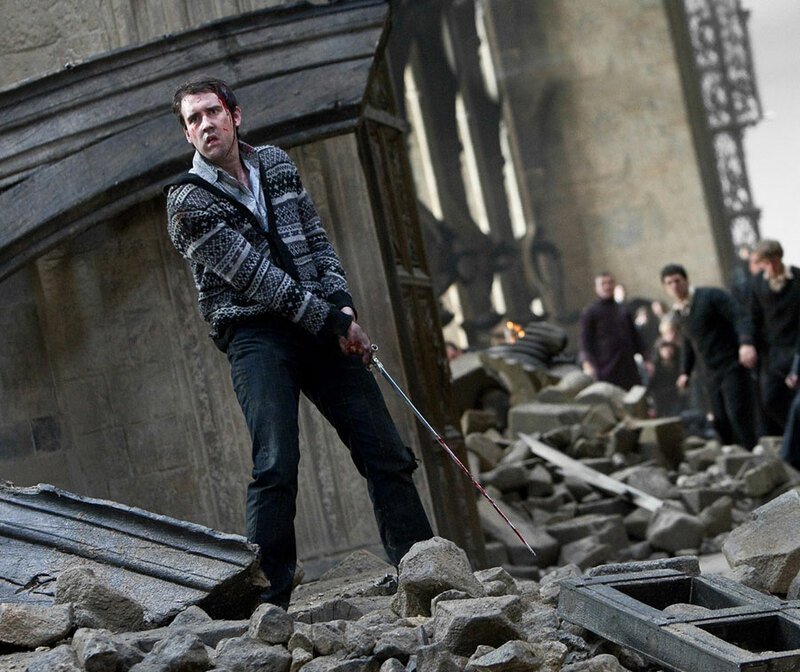 It is not necessarily limited to the major characters, mind you; the transformation of Neville Longbottom (Matthew Lewis) from both the start of the series and of the last film is finally complete in this chapter, and what a noble and heroic character he becomes! This is one of the reasons why, on a general basis, I have enjoyed all of the Potter films. "Since it's going to end, there's something I've been meaning to say, Tom..."
Having said that, it is not without its faults. The main one I could pick at, if I were to be picky, would the fact that…well, it ends. I know that seems obvious, but I do believe that it does not stand up particularly well if you happen to catch it just by itself. Should the bottom side of a rock be your dwelling for the past decade, then you might find yourself more than just a little lost. At times, I felt as I was transported back to the third ‘Pirates of the Caribbeans’ movie, where the complexity of the relationships and double (and treble) crossing caught up with me. In this case, this film is the reward for persevering with the series for ten years, the icing on top of the cake…if there is a cake there to begin with. Nor was it without it’s own surprises. For my part, I find the decision of Alexandre Desplat, the composer, to focus on the subtleties of the scene to be the correct one. In one particularly moving scene, we find that all hell has broken loose in the main courtyard of the school. As Harry and friends weaved their way through the destruction, Desplat accompanied the scene not so much with bombastic percussions, but with more of the soft and smooth strings. I noted to my little sister after the show: “Zimmer is a magician who hammers us with his grandness, but Desplat’s work is like a needle that is poked straight to the strings of your heart.” She smiled, and promptly called me a soundtrack geek. I am not unhappy with that statement, though it did make me wonder what the difference is between a fan and a geek. Halloween came early for this lot. Speaking of my little sister, it was her and my other sister who I watched the film with. We made a special effort to watch it together, coming as we did from different parts of the Klang Valley. Therein lies the most meaningful contribution I could write about in this film: sharing. It was my little sister who had introduced me to the books to begin with. So many memories came flooding back during the film, memories that made the film experience I shared with my sisters all the more meaningful. It is this, I suspect, that will be the key factor in how much you enjoy the final film, the telling of a story with an ending a lot of people already know. “That,” I told my students not so long ago, “is the key to your stories. The stories we tell are not new, but how do we maintain the audience’s interest all the way to the end?” In this case, with an ending that is already widely known, how do you keep the people guessing with the film? The textbook answer to that book would simply be: ‘Harry Potter and The Deathly Hallows, Part 2’. From the special effects that supported, rather than distracted, to the lineup of actors who dazzled with their talent (where and when else would you get people like Helena Bonham Carter, Jim Broadbent, Robbie Coltrane, Ralph Fiennes, Michael Gambon, John Hurt, Kelly Macdonald, Gary Oldman, Alan Rickman, Maggie Smith, David Thewlis, Emma Thompson and Julie Walters, in addition to the lead actors, to all appear in the same film? ), to the music that stretched out its final notes over the last scene that provoked as much tears of delight as it did of sadness, tied together with excellent directing that emphasized emotions as much as it did actions, ‘Harry Potter’ may have started out as a children’s book in my eyes, but though the final part is not perfect, it became the great ending to the one story that I, for my part, did not want to end. As Fikri writes this, he read that the film just made the biggest opening weekend in history. You can read the review for the first part of the film here. never forget it is the story that carries a movie – special effects is secondary. great special effects is no use if one has no story to tell. The best things in life are free, after all.